In this post, I am going to review The Courage to Dream series by Susan Anne Mason. These novels come in all forms including eBook. As a whole, I give this series 5 STARS. The novels are Christian Historical Romances. 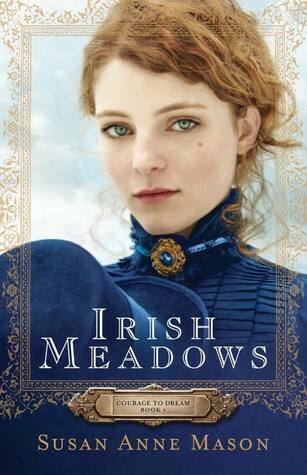 Irish Meadows (2015; 384 pages) is the first novel in the series, and is personally my favorite book. I definitely rate this novel 5 STARS. I read this book in about a day and a half; it’s so good I couldn’t put it down. I thoroughly enjoyed every minute of this novel. By the 33% mark, I was completely hooked. Something happens at this point in the novel that absolutely tore my heart out and stomped it to pieces. 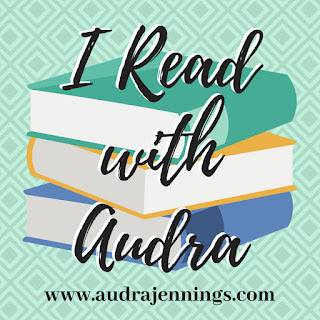 The main characters in this book are Brianna and Gil, and it is clear from page one that they love each other very much, but life gets in the way via a very short-sighted, controlling father. What Brianna and Gil go through is painful, but it makes the ending of this novel so satisfying. Ms. Mason tells this story through four narrators: Brianna and Gil (the main protagonists), and Colleen and Rylan. At first, I didn’t like that the story kept switching between four unique individuals. I worried that the story would become convoluted and that I would lose track of the story line, but that is absolutely not the case. The characters are so well written, and the drama so beautifully portrayed through all four characters, that I ended up loving the four-character structure. It made the story rich and compelling! Overall, the main characters are beautifully written. They go through SO much and deal with it very realistically. The family interactions are real, the love and heartache is real. There are moments in this novel that tore my heart out and stomped on it until I was left in tears. 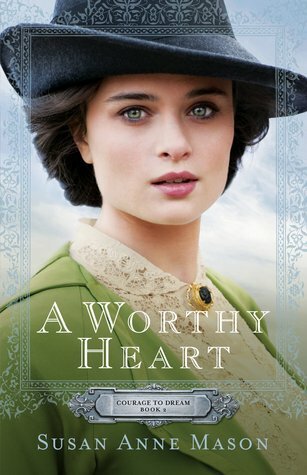 A Worthy Heart (2016; 384 pages) is the second novel in this series. To me, this novel is equally as good as book 1. I definitely give it a 5-STAR rating. I very much enjoyed this novel. At first, I wasn’t sure if I would like this book because in the first book, Adam — one of the main protagonists in this book — was a horrendous character. He is the epitome of a spoiled rich kid. In book 1, he is a total jerk. BUT, I fell in love with his character almost immediately because in this book it shows his rise from rock bottom. This novel begins three years after book 1 ends. Adam, the reader learns, made some seriously bad choices and ended up in jail for three years. This novel details his redemption. Adam’s struggles in this novel are very real, both emotionally and psychologically. The issues and obstacles and pain he deals with in this novel endeared him to me. I love how much he grows over the course of this book. I love that I could root for him to succeed. I was very glad for his happy ending! This novel, as with the first, is structured with a cast of four main characters: Maggie Montgomery and her older brother, Gabe, and Aurora Hastings (from book 1, too) and Adam O’Leary. All of the main characters are very well written, and the story Ms. Mason weaves with these four characters is engaging and fast paced. Ms. Mason is an excellent writer. She knows how to capture the reader’s heart into a vise!!! Many moments spent near tears, hoping for the best for these characters, not totally sure they would reach their happy endings. 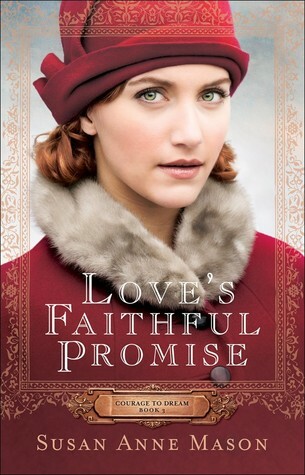 Love’s Faithful Promise (2016; 400 pages) is the final novel in this series. Personally, I did not swoon for this novel as I did book 1 and 2. My real issue with this novel is that it is about 50 or so pages too long. It felt as if Ms. Mason stretched the story out too much and made it go on longer than it needed to, perhaps because she didn’t want to see her time with the O’Leary family come to an end. Because of this, I give this novel a 4-STAR rating. The structure in this novel is the same as Ms. Mason’s other novels; there are four main characters: Dr. Matthew Clayborne and his daughter, Deirdre O’ Leary, Connor O’Leary, and Josephine Miller. Each character has a particular hang-up he or she needs to overcome, and their journeys through this novel lead to love and happy endings. There are intense moments of action, some quasi-surprises, and internal struggles. This novel is fast-paced, and does end well. The struggles each character endures are real-to-life. My only issue with this novel is that by the time you get to the third book, the reader knows Ms. Mason’s pattern. So this book is predictable. I still enjoyed the story, and I think this book is a sweet way to end the series. I just feel that of the three this one misses the mark slightly.